I do not have a studio as I prefer to capture your pet in natural, more familiar settings. I feel that your pet is most comfortable in areas that they are familiar with or places where they are doing familiar activities such as playing ball or going on a walk. This allows me to get the best and most personable images showing their full personality. How many pets can I have in a session? Sure you can, and I hope you will! I love including owners in the shots! After all, capturing that bond between a pet and their human is why I do what I do! How long before I can view my proofs? You will be able to see all of your images at your viewing/ordering appointment within 14 days of your session. Does my pet have to be trained? No. 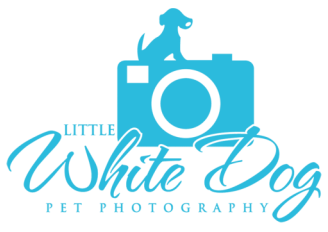 Most of the pets that I photograph are family pets with little to no formal training. But, my pet can not be off-leash! Ninety-eight percent of the pets that I photograph are done so with their owner at the other end of the leash. This is the only way to be sure that no harm will come to them when out in public. Do you travel for out-of-town clients? Yes. I travel within an hour of Sioux Falls, SD. Anything farther would have an added travel fee. Life happens. We have all had things come up that were out of our control. As long as you give me 24-hour notice we can reschedule your session. If weather looks to be a problem, I will contact you (you should not hesitate to contact me if you are not in the Sioux Falls area), and we can make arrangements for another session date. We can also play it by ear as some of those rainy or snowy days can be great for unique and fun photos. What can I expect if I choose to purchase digital negatives? I offer digital negatives in sets or as part of a collection. If purchased you will receive full resolution digital negatives, along with a print release, giving you full rights to print images as many times as you would like. You will also receive low resolution, watermarked images that you can use for Facebook, blogs, email, and other social media. *As the photographer/artist, I retain full copyright and ownership of all images. As a matter of fact I do. Thanks for asking! ;O) It's right here. Yes! And, good for you considering such a unique gift! The dollar amount is up to you and will be applied toward your recipient's product purchase. Here is more information on Gift Certificates.